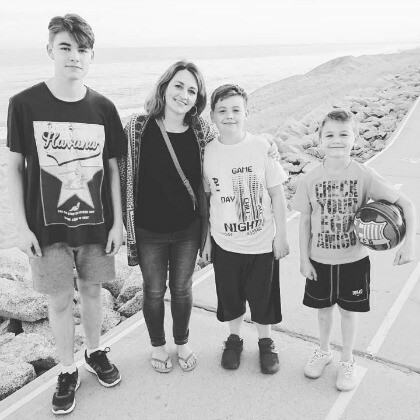 I’m Antonia Ludden, a 40-something mum of 3 boys (Alex aged 16, Gabriel who is 12 and 9 year old Beau). I’m married to Paul and we live in Sale, Greater Manchester. I like fashion, running and beauty but my passion is home interiors. 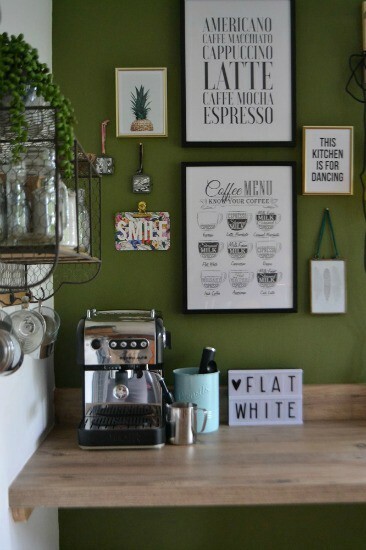 I’ve been an interior design blogger since 2012, when I launched my website called #tidylife. 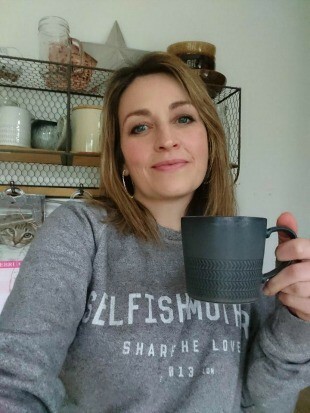 I started the blog mainly to document the home improvement and decorating projects we undertook; I figured that blogging about them would keep me on track and I’d be less tempted to start something new before finishing the last thing! I had become a stay at home mum and wanted to find some ideas to help get better organised with the mountains of toys and laundry! I found a lot of US blogs about home organising and decorating — the first I followed was IHeartOrganizing and I felt inspired to make some home improvements on a budget. But US homes aren’t really like ours, so I tried searching for any similar UK blogs but didn’t find too many. That was back in 2012 so I thought I’d have a go at writing a blog myself! Just sharing some of our home projects, furniture makeovers etc. I want to continue sharing lots of home inspiration, gorgeous homeware and achievable design ideas — but I’ve also been asked about blogging on other topics, such as running which I’ve got into lately, so I’ll probably try and do more of that, too. I love collaborating with my favourite brands and hope more opportunities will come through in 2018. I’d also like to start offering some interior design advice and home styling services to people. How does running the blog help you to work flexibly around your family? Being a self-employed blogger is great for flexibility, as long as you stay fairly disciplined. I write blogs posts, photograph products, edit images, send and reply to emails and keep up with social media when my boys are at school, but 3.30pm comes round quickly and if I have errands to run in the day, I usually find myself working in the evenings and weekends. It’s probably a full time week, really; the social media alone is incredibly time consuming! But I can be there for school assemblies and drop off/pick up so feel very fortunate in that way. Do you have any working from home tips, which help you to have a productive day? Home working isn’t for everyone, especially if you’re used to clocking off at 5pm and forgetting about work ’til the next day. As a blogger, I’m mostly working alone and it can feel a bit isolating — plus there is an amount of uncertainty and needing to have faith that opportunities will come in. I treat it like a proper job and am always professional when dealing with brands. I also prefer to get dressed and put on some makeup before I sit at my desk — even though I might not see anyone all day. It might seem tempting to stay in your PJs, but it just wouldn’t feel right for me!